A U.S. Journalist who was detained in Venezuela has returned safely to South Florida. NBC 6 Reporter Laura Rodriguez explains. An American journalist who lives in Caracas, Venezuela, and works for a South Florida TV station was released Wednesday after being detained at his home. Cody Weddle, a freelance reporter who works for WPLG, was detained during a raid by military officials at his residence, along with his assistant, Carlos Camacho, the organization tweeted. According to a tweet posted by WPLG, he was released and is being deported from Venezuela. Weddle, 28, has lived in Caracas since 2014 and has worked for WPLG, the Miami Herald, ABC, CBS and the Telegraph, the Herald reported. In a statement released early Wednesday prior to his release, WPLG President E.R. Bert Medina said they were trying to figure out Weddle's whereabouts. "We have been unable to confirm specific details but a witness at the time of the raid claims Cody was taken into custody and his equipment confiscated. We have been unable to reach Cody today and are obviously very concerned about him," Medina's statement read. "Cody has been dedicated and committed to telling the story in Venezuela to our viewers here in South Florida. The arrest of a journalist doing his job is outrageous and unacceptable." Weddle's arrest comes a week after Univision journalist Jorge Ramos and his work team were detained and deported from Venezuela, after an interview with Nicolás Maduro. 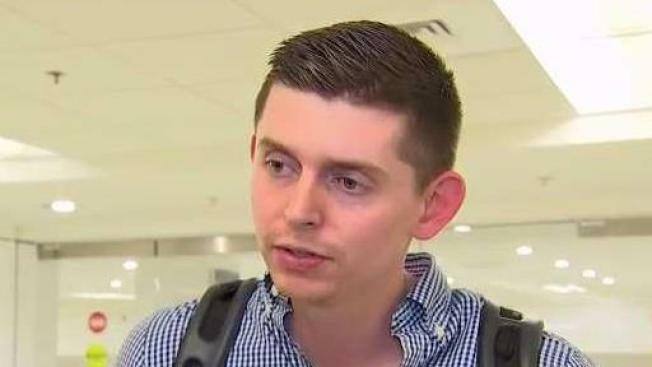 "Completely unacceptable for @NicolasMaduro and his thugs to detain @WPLGLocal10’s Cody Weddle for reporting on the successful return of the legitimate Venezuelan President @jguaido," Florida Sen. Rick Scott tweeted. "He must be released immediately and the U.S. will not stand for this kind of intimidation!"